And swim into your ever-waiting smile. Give me the courage to take that plunge. I realized that this prayer doesn’t make a whole lot of sense unless you read Chase’s challenge in the previous post, in which the blobfish is described. 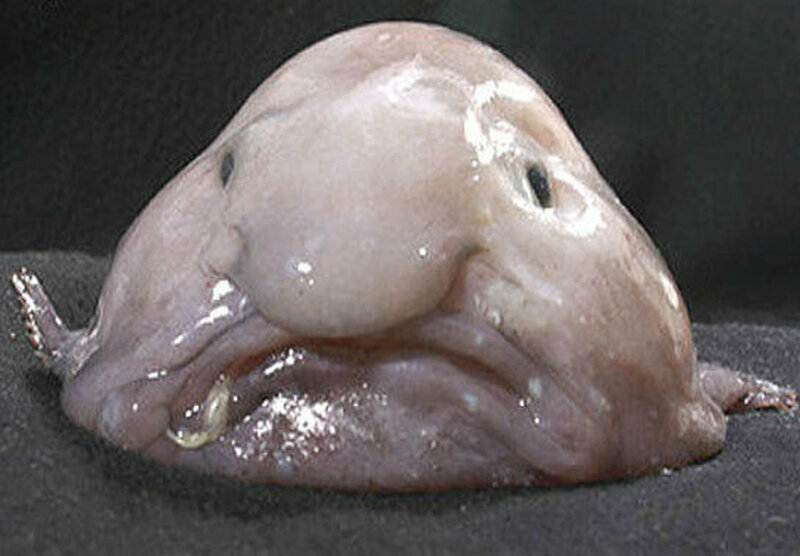 Specifically the bit about, “Due to its low density flesh, the Blobfish’s shape is very different when it is out of water.” Turns out no one is really quite sure what the blobfish looks like in the extreme high pressure deep sea environments it normally lives in.